The people of Wheat Ridge are amazing! So many kind messages, offers of help, and support after the goats went missing. I am so blessed to be part of this community! Donations will be used to including needed vet tests (for incoming goats), fencing, and new field cameras and/or GPS tracking tags to better monitor the herd in the future. The first 30 donations over $10 will receive a FFF sticker. If you are looking for Farm products (cheese, yogurt, etc) then we have a deal for you! 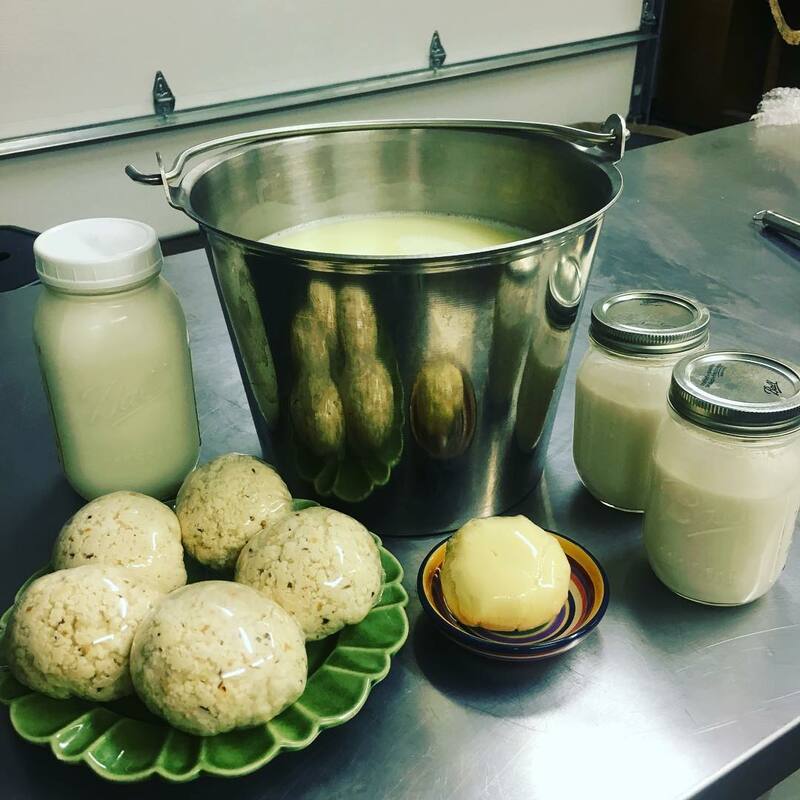 We are offering an introductory subscription of 2 quarts of yogurt and 1/2 pound of goat cheese each month for $20 (a $25 value). Limited subscriptions available to our newsletter recipients only. Click here for more details. So much for our quiet winter! Let's hope the rest of 2019 is a little less eventful. Our 2019 Apprentices began their apprenticeship at the Farm and are getting into the swing of things. We are re-building our herd of boy goats starting with Arlo and Willie. Brody, the Nigerian Dwarf buck, enjoyed his month-long visit to the Farm. Looking forward to some "Nigeriancha" kids in the spring. The lady goats are coming to terms with the fact there are new boys in town. Not sure they are really happy about it, but change is good, right? We continue to mourn the loss of Wendell, Daryll, Daryl, Yoda, and Creampuff.